There's nothing quite like the smell of freshly baked bread, nor the taste of it when served still slightly warm. 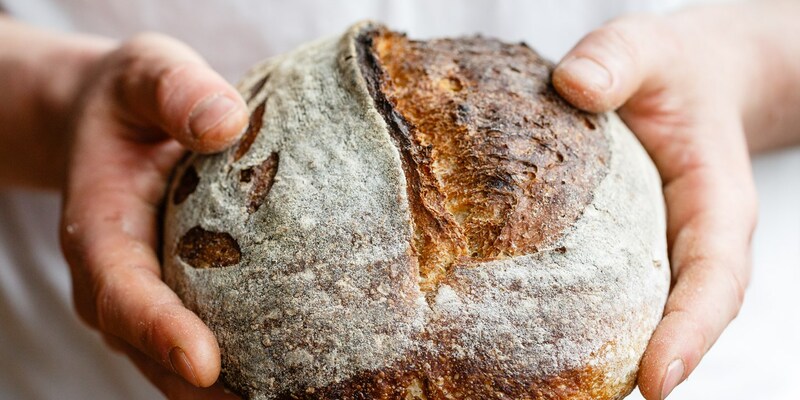 Learning how to bake bread is one of life's great skills, easy enough for everyone to master and a highly therapeutic activity (after all, who doesn't like taking out their excess emotions on some poor unsuspecting dough every now and then). This collection of bread recipes runs the gamut from the easy White bread recipe by Dominic Chapman to slightly more complicated bakes, such as Russell Brown's Soda bread, a fantastic gluten free bread recipe. There are plenty of ideas for flavoured bread, too. Kevin Mangeolles' Onion bread recipe is fantastically fragrant, while the Sun-dried tomato bread from Shaun Rankin is bold in colour with a flavour to match.